The Book Thief has an unique narrator; Death. Hold on, first listen to what Death has to say for itself. 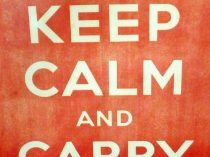 Please be calm, despite that previous threat. I am all bluster. I am not violent. I am not malicious. I am a result. Set in Germany during the turbulent years 1939-1943, the story begins with two siblings Liesel and Werner; they are being taken to the small town of Molching – just outside of Munich, Germany – where they are to live with their foster parents Hans and Rosa Hubermann. Before their arrival however, Werner dies on the train of mysterious causes. At her brother’s funeral, Liesel finds herself stealing ‘The Grave Digger’s Handbook’ when it falls from a young grave digger’s coat. This marks the beginning of her intense desire to read books; Liesel steals randomly at first, and later more methodically, but she’s never greedy. She even becomes best friends with her neighbour Rudy, a boy with ‘hair the color of lemons‘. But even bigger things are yet to happen. Max Vandenburg is a Jew whose father saved Hans’s life in the First World War. While escaping from the horrors in store for his kind, he arrives at the door of the Hubermanns, asking for help, and is subsequently sheltered. After seeing him, Liesel says that “Max’s hair looks like feathers“, which amuses him and later they become fast friends. He writes a story for her, called “The Standover Man”; it’s the story of Max, of his growing up and coming to Liesel’s home, with him painting the whole story over white-painted pages of Mein Kampf. This part damn near broke my heart. Liesel is very real, a child living a child’s life of soccer in the street, stolen pleasures, sudden passions and a full heart while around her bombs drop, maimed veterans hang themselves, bereaved parents move like ghosts, and the skeletons of Jews are paraded through town. Death is rendered vividly; a lonely, haunted being with emotions, drawn to children, and someone who has had a lot of time to contemplate human nature and wonder at it. It is Death who pockets Liesel’s notebook after she leaves it, forgotten in her grief, amidst the destruction that was once her street, her home, and carries it with him. And no Death doesn’t always wear a black robe either! 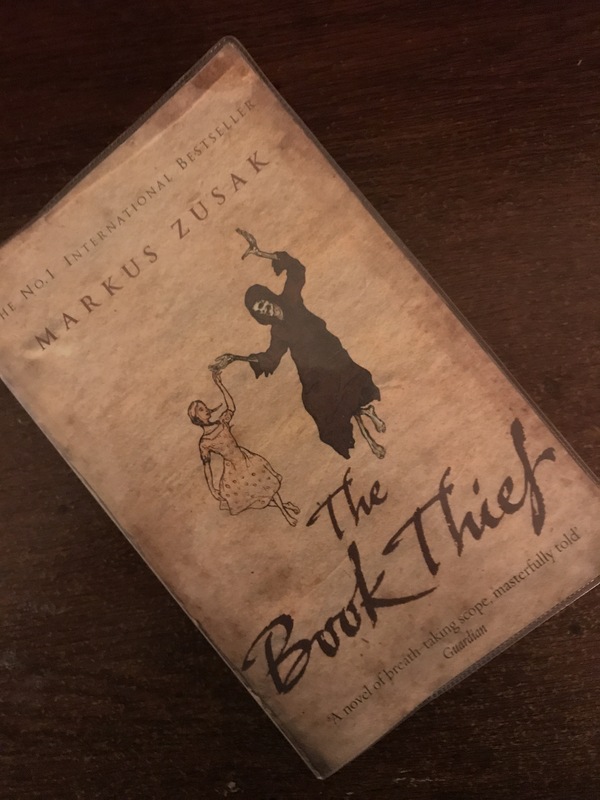 ‘The Book Thief‘ gives a unique and compassionate voice to a narrator who can comment on man’s inhumanity to other humans without being ponderous, ‘worthy’ or even quite understanding at times. Reading this book, you are bound to cry and then laugh out loud the very next moment. A deeply moving story which describes the strength of human relationships while also pointing out how fragile they can be at times.